And what of The McCoys? When last we saw our intrepid heroes they teetered on the verge of irrelevancy, with a dwindling audience, a lingering bubblegum image, and no hits. But they happened to be very good musicians, and very good musicians can always find work. 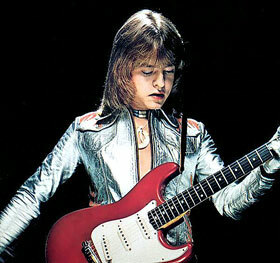 Blues guitar wizard Johnny Winter liked the sound of the band, particularly their lead guitarist, the former Rick Zehringer, who had renamed himself Rick Derringer shortly after the success of “Hang On Sloopy” (the symbol of his record label was a little derringer pistol). Winter wanted to broaden his sound, to move away from traditional electric blues in the direction of the blues-rock mainstream, so in 1970 he drafted Rick and the boys to serve as the backing band on his next album. Originally titled Johnny Winter And The McCoys, at some point that name was chopped in half — the new record would simply be titled Johnny Winter And. 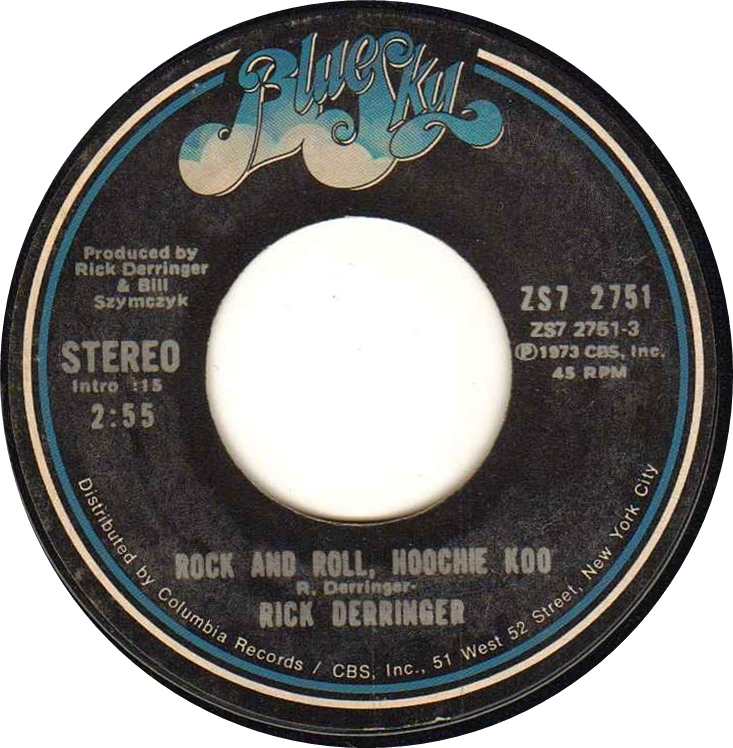 One of the tracks Derringer brought to the studio was an attempt to write a song that would have a rock backbone with a bluesy feel and lyrics – he called it “Rock and Roll, Hoochie Koo,” a name which suitably blended the styles of both parties. Winter recorded the song and everyone was happy enough with the results of the whole album that the ex-McCoys continued to contribute to Winter’s next few records. In 1973, Mr. Derringer took some time to record his first solo album, All-American Boy, and decided to cut his own version of “Rock and Roll, Hoochie Koo.” He rocked it up louder and faster, thickening the sound with backing singers and even more guitars, and making the Winter version sound like a skeletal demo. The single went Top 40 and proved to be his most enduring song. After that success, Derringer continued working with Johnny Winter, as well as his hit-making brother Edgar. When the 80’s arrived, Rick made guest appearances as a gunslinging guitarist for hire, but also turned his talents to production, developing a musical partnership with Weird Al Yankovic that lasted for six albums. Not too bad for a Midwestern kid from a teen garage band. So plug in your Strat, crank up your Marshall stack, and light a fuse!